Siniard, Timberlake & League, P.C. is a nationally recognized law firm that has received frequent accolades for its outstanding legal work. Our firm is Martindale-Hubbell Peer Review Rated, indicating that our Alabama personal injury attorneys have been recognized by their peers for their outstanding skills and integrity. This peer review translates into an AV rating that is available to the public to be used in evaluating our credentials. US News has also consistently recognized our firm as one of its Best Law Firms. 31 LawCall™ is a live, weekly, thirty-minute call-in show featuring guest attorneys from across the Tennessee Valley. 31 LawCall has been on the air since 1996 as your source of information regarding specific legal topics each week. 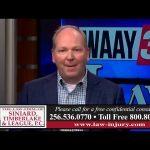 Join personal injury attorneys Tommy Siniard, , Michael Timberlake and Will League Sunday Nights on WAAY 31. We take your calls LIVE every Sunday at 10:35pm. Call us at 256-536-0077 during the show. Siniard, Timberlake & League, P.C. 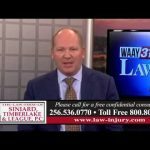 is a premier law firm based in Huntsville, Alabama, dedicated to providing victims of personal injury with the highest quality of legal representation. 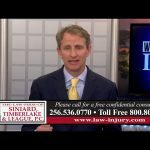 Our Alabama personal injury lawyers have over 75 years of cumulative experience handling thousands of personal injury cases. 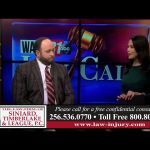 Siniard, Timberlake & League, P.C. 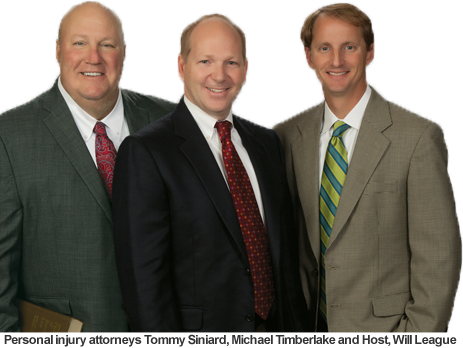 is a nationally recognized law firm that is Martindale-Hubbell Peer Review Rated, indicating that our Alabama personal injury attorneys have been recognized by their peers for their outstanding skills and integrity.